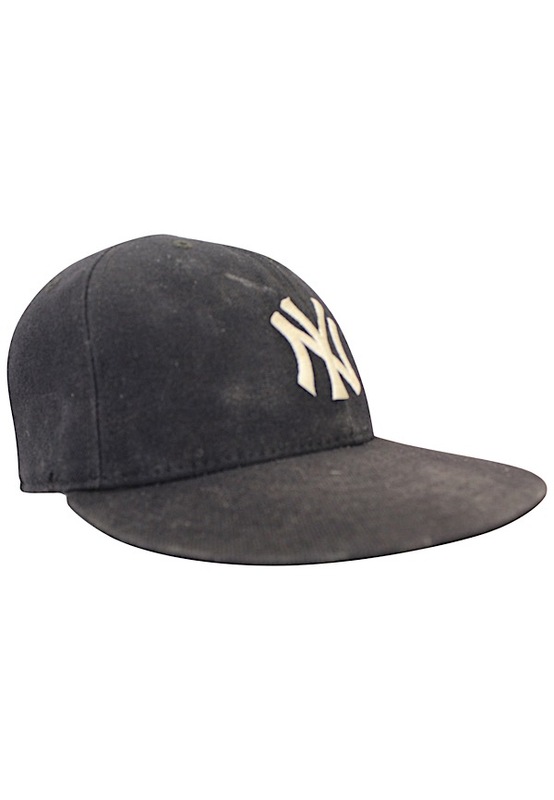 In the rear sweatband is the New Era manufacturer’s tag. 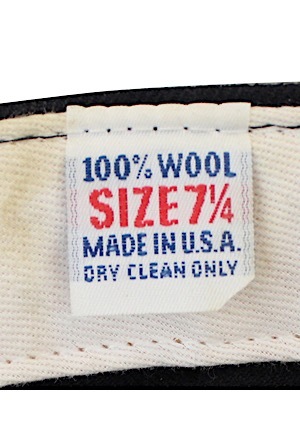 Adjacent to the right is a “100% WOOL SIZE 7 1/4 MADE IN U.S.A.” tag and adjacent to the left is an “AUTHENTIC Diamond COLLECTION” tag. 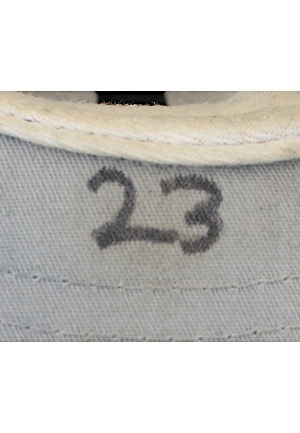 The player number “23” is handwritten underneath the brim in black marker. 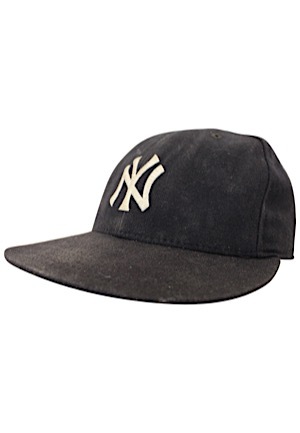 This cap is properly tagged, was presented to us as game-used attributed to Don Mattingly and shows use.